René Schlatter and his father Jack W. Schlatter are the owners of Merryvale Vineyards. Remi Cohn is director of vineyard operations and Sean Foster is the senior winemaker. Merryvale is well-known for its Chardonnay, Cabernet Sauvignon and Red Bordeaux Blend and was chosen "California Winery of the Year" by Quarterly Review of Wines in 2009. Merryvale makes 100,000 cases annually (15,000 for Merryvale, the rest under Starmont wines) primarily from its 125 acres, making most of its wines estate wines. Since 2006, the Napa Valley Pinot Noirs have been stellar, especially the Stanly Ranch bottling from Carneros, and worthy of a pinotphile's attention. Merryvale was the first winery built in Napa after Prohibition. A second winery is located on the historic Stanly Ranch in Carneros where John Stanly planted one of the first vineyards in Carneros in 1872. This green winery is powered by the sun. The veteran winemaker is Sean Foster and vineyard manager is Remi Cohn. All of the winery's vineyards are farmed sustainably and are certified Napa Green Farms. 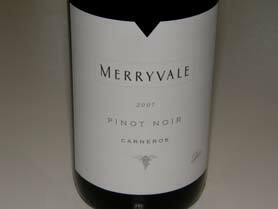 Merryvale wines are available on the website. The winery's tasting room is open daily from 10:00 AM to 6:30 PM. It is located in a historic building at 1000 Main Street in St. Helena that was the first winery built in Napa Valley after the Repeal of Prohibition in 1933.